Once & Future Space Prom | Bear Pond Books | Library & Books | Kids VT - small people, big ideas! 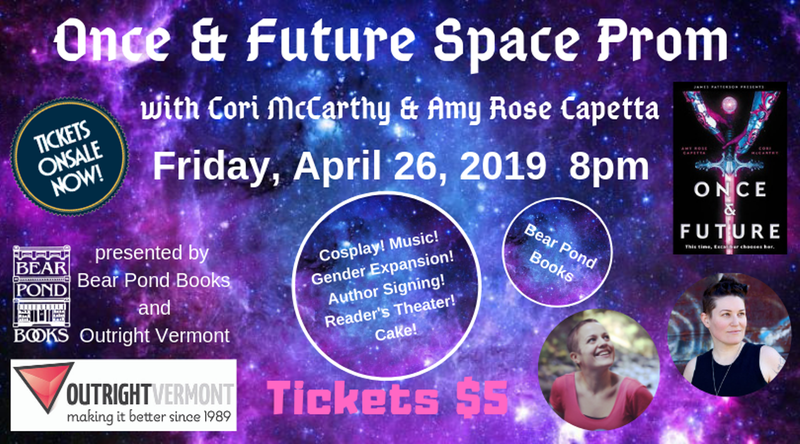 When: Fri., April 26, 8-9:30 p.m.
Local co-authors Amy Rose Capetta and Cori McCarthy share their new YA fantasy book, Once & Future, in a book launch for teens and youth featuring cosplay, music, reader's theater, cake, author signings and door prizes. Fancy dress or costumes of a King Arthur genderbending space character encouraged. Ages 12 and up.